No matter how well you eat or what part of the world you live in, studies show that you will still have some level of toxin exposure. Over the last 50 years, more than 80,000 new chemicals have been created resulting in an increasingly polluted environment. Age is an important factor in our toxicity levels because the older we get, the more years of environmental toxin exposure we experience. Detoxification is a critical process by which the body rids itself of harmful toxins. Let’s look at the importance of the liver as the body’s primary detox organ and how exercise can impact detoxification. I will also help you get started on your own basic, healthy detox program. The liver plays a major role in metabolism, hormone production and detoxification. The liver’s job is to neutralize toxins and eliminate them from the body using a complex two-step system. The first step is called Phase I detoxification, where toxins are liberated from their storage sites into the bloodstream, becoming water soluble. This step involves a group of enzymes called p450 and requires various nutrients such as B vitamins, vitamin C, magnesium, zinc, copper and folic acid, as well as antioxidants glutathione, N-acetyl cysteine, lipoic acid and branched-chain amino acids. It is within Phase I that the metabolization of prescription medications, alcohol and caffeine occurs. Phase II detoxification involves taking the now water-soluble toxins and eliminating them from the body through the urine and stool. This is an important step that requires nutrients such as B5, B6, B12, vitamin C, folic acid, selenium, zinc, glutathione and the amino acids glycine, methionine, cysteine, taurine and glutamine. You can think of Phase I as taking the trash from the garbage can inside your house out to the street corner, and Phase II as the garbage truck coming along to take away the trash for good. When these two phases of detoxification are overburdened, the body’s response to the buildup of toxins is to store them in our body fat tissues, where their damage will be minimized: As toxins accumulate, they disrupt and inhibit our mitochondria’s (the cells energy source) ability to burn body fat for energy, leading to weight gain and poor health. So, how does exercise and Spinning® fit in with a detox protocol? Exercise is a crucial component of any well-rounded detox program. Exercise improves the delivery of oxygen to the body's tissues, accelerates the body’s ability to breakdown toxins, and also improves the flow of lymph (the immune cells of the body’s defense system) that further enhances detoxification. Also, exercise burns body fat, that far-off land your body stores excess toxins. Recent studies found that exercise improves liver function and decreases liver enzymes, which reflects the overall burden on the liver. This is compelling evidence for incorporating exercise and Spinning® classes into your detox program to keep your liver healthy and decrease your “toxic load”. In order to reduce the overall workload of the liver and begin a basic detoxification protocol, you need to follow four simple steps. These steps will provide the body everything it needs to clean itself from the inside out. First, remove the things that are hardest on your liver. This includes caffeine (coffee, soda and chocolate), alcohol, refined simple sugars like candy and soda pop, and processed foods. This is the most important step in detoxification and, ideally, you should completely remove these things from your diet for a full two weeks. However, if some of these items are difficult to cut out completely, then try to reduce your consumption by half. Second, increase the amount of nutrients the body needs for Phase I and Phase II liver detoxification. You can do this by simply increasing your fruit and vegetable consumption. Aim for five fruit and eight vegetable servings daily, and you can also add liver cleansing herbs like milk thistle, artichoke, and turmeric. Third, add water! By increasing your water intake you will keep cells fully hydrated and help kidneys filter out the toxins and waste through urine. Finally, incorporate exercise into your detox protocol to dramatically enhance your results. Within two weeks, your body will benefit from the effects of your detox efforts. 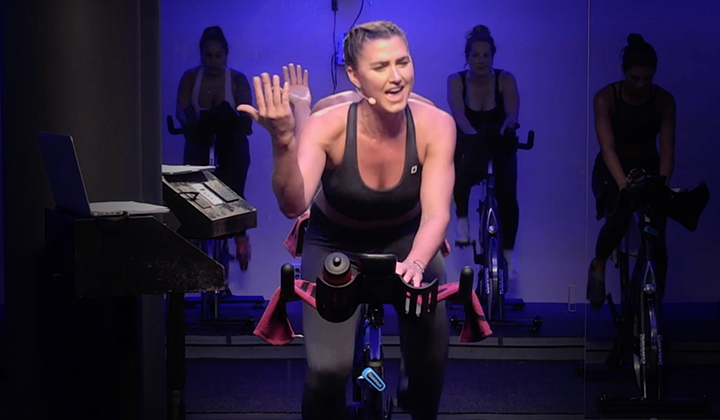 Let’s take a detailed look at how the Spinning program can be added to your detox program, based on your current level of experience. 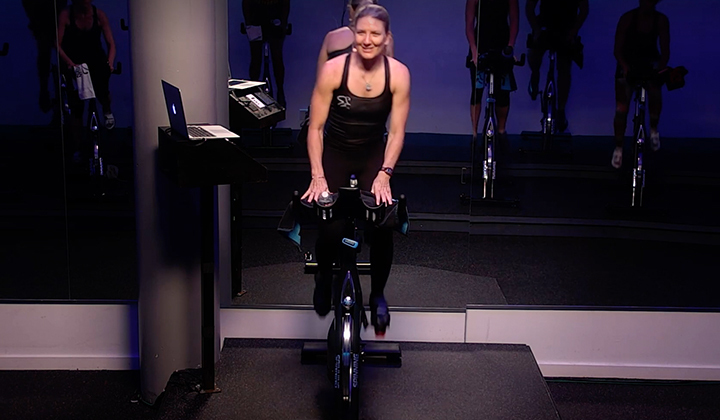 If you are a beginner and new to Spinning® classes, or have a body fat percentage greater than 30% (or BMI greater than 30), start with two Spinning classes per week at a low-to-moderate intensity. Keep your heart rate in the recovery (50–65%) or aerobic (65–80%) heart rate zone in order to maximize the use of body fat as a primary energy source. 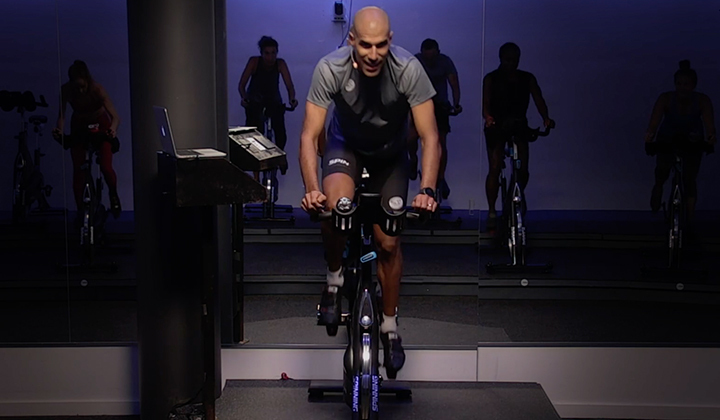 For intermediate and advanced riders, or those with a body fat percentage of less than 30% (or BMI less than 30), three to four Spinning® classes per week will enhance your detox program. Perform two endurance classes keeping your heart rate between 65–80% and one or two higher intensity or interval classes that will push your heart rate into the anaerobic zone (80–92%). This combination will maximize blood flow to tissues and overall fat loss. Remember, before starting any exercise or detoxification protocol, consult your physician or naturopathic doctor. And be sure to listen to your body and not overdo it. 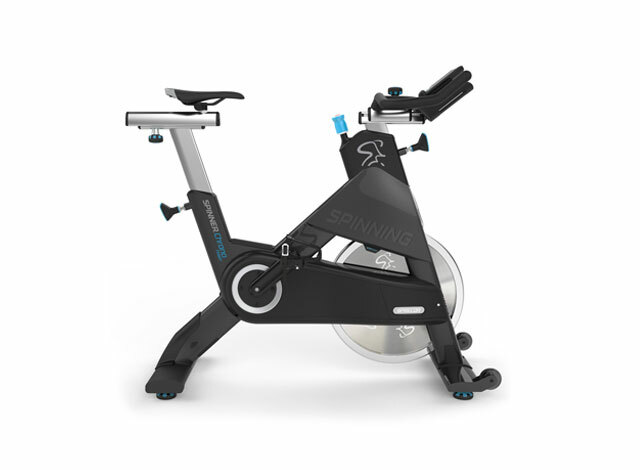 You are now ready to start detoxifying your body and maximizing your Spinning® classes to keep your body healthy and fit. Enjoy the ride! Holechek M. Three targets of branch-chain amino acid supplementation in the treatment of liver disease. Nutrition. 2010 May;26(5):482-90. Kearns B, Johnny G. Spintensity, 1997. Muriel P, Arauz J. Coffee and liver diseases. Fitoterapia. 2010 Jul;81(5):297-305. Stirnimann G, Kessebohm K, Lauterburg B. Liver injury caused by drugs: an update. Swiss Med Wkly. 2010 Sep 24;140:w13080.